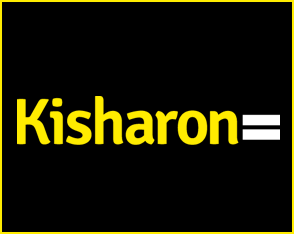 Kisharon is committed to protecting and respecting your privacy. This policy (together with any other documents referred to on it) sets out the basis on which any personal data we collect from you, or that you provide to us, will be processed by us. Please read the following carefully to understand our practices regarding your personal data and how we will treat it. 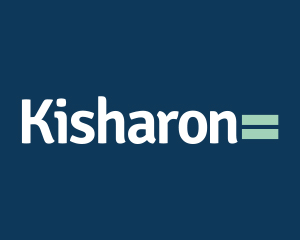 The website http://www.kisharon.org.uk/ is owned and operated by Kisharon. If you are a next of kin of our staff or service users we may have your data given to us in that capacity. any other information provided to us when you contact us to submit an application for a place in our nursery or school, such as health information including details of disability and safeguarding necessities or other circumstantial details. We never buy personal data from third parties or trade data with other charities. However, there are times when we have to report to our funders and regulators, or other relevant bodies, how we have used our funds/budgets and in those circumstances, we will report your information either aggregately or anonymously. We will process any of your personal data, in accordance with our obligations under applicable data protection laws and regulations, for the following reasons: to provide you with the services you have requested; to comply with applicable laws and regulations; for administrative purposes; to assess enquiries; and to provide you with information about us and our services. If, at any time, you do not wish to receive further information about us and our services, contact us at fundraising@kisharon.org.uk where this will be handled. We may disclose your personal information to third parties if we are under a duty to disclose or share your personal data in order to comply with any legal obligation, or in order to enforce or apply any agreements; or to protect the rights, property, or safety of Kisharon, or others. This includes exchanging information with other organisations for the purposes of safeguarding, or other statutory regulations we have to comply with. You can request to see a copy of the information we hold about you via the Subject Access Request (SAR) Form. Please complete and send the form to dataprotection@kisharon.org.uk. We will endeavour to respond to your request within 30 days of confirming your identity. Kisharon may collect information about your computer, including, where available, your IP address, operating system and browser type, for system administration. This is statistical data about our users’ browsing actions and patterns, and does not identify any individual.